From 4 to 5 August hundreds of cyclists will ride through the streets of St. Petersburg. They decorate themselves and their transport with LED elements, thus extending the outgoing white nights. 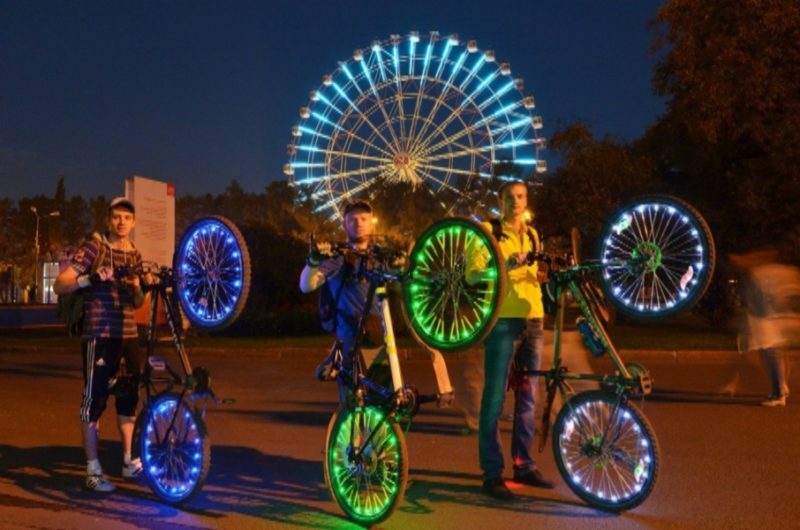 Organizers of the IV velikarnavala "Bright Night" are planning not only to collect fans of two-wheeled vehicles, but also to build them by colors in a beautiful column. Citizens from 18 years old can take part in the project, younger cyclists must be accompanied by their parents.